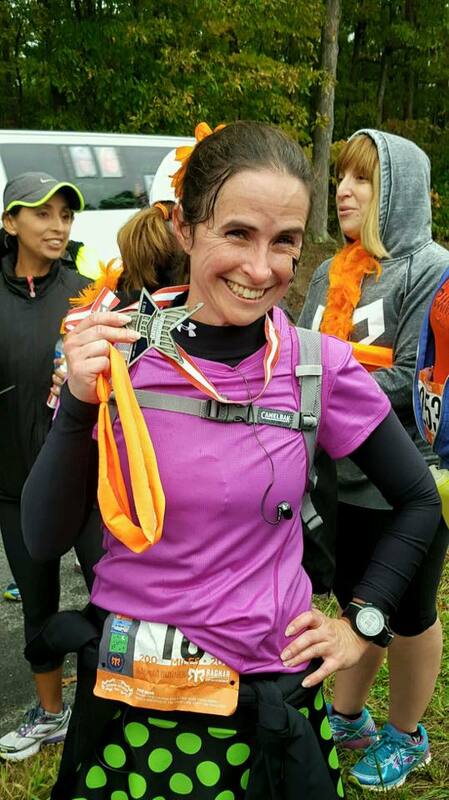 Last year’s experience running Ragnar DC with my Cruiser friends was something like I’d never experienced before and I knew that I had to return! And return I have – twice. 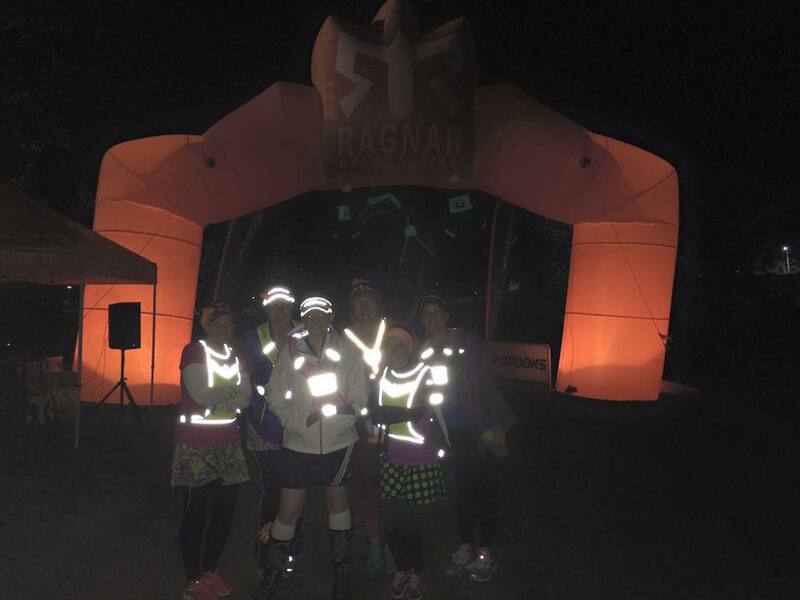 In June, I joined my MRTT team for Ragnar Trail Appalachians WV, and just last week I joined Moms RUN This Ragnar (again, my MRTT team) for a second go at Ragnar DC for a quick little overnight 200’ish-mile jaunt (204.2 miles to be exact) from Cumberland, MD to Washington, DC. Once again I was in Van 2; however, I switched from Runner 8 to Runner 12. Bill was Runner 12 last year, so before and after the race it was fun comparing notes with him. 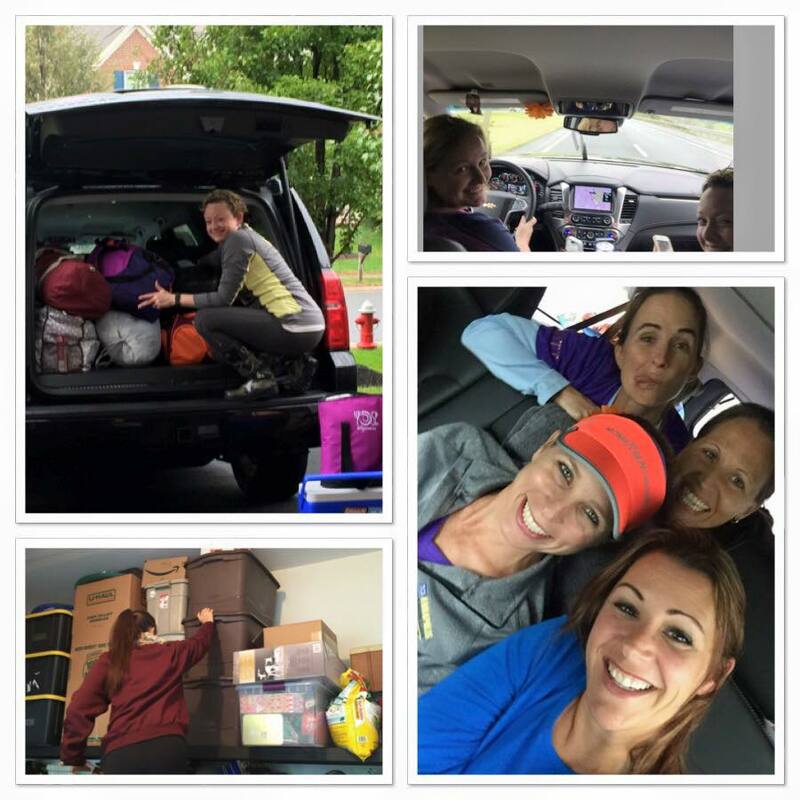 After stalking the weather for a week, my Van 2 teammates and I met at our team captain Amanda’s house for a 7:30 AM departure on Friday morning. Imagine this amount of gear times six runners, plus those six runners and one driver, and you’ll have a better sense of how crowded our van became. Since it was raining, we skipped decorating the van with the hopes of finding a dry spot later. Just a few miles out from our destination point, we pulled into a vacant bay at a gas station and got to work. We each had a laminated photo and made squares for checking off each of our legs after we finished. We never got to that, though, because our markers ran with all of the rain. It was rather sad looking by the time we were finished with our race. Before I get ahead of myself, let’s back up to Friday afternoon when Van 1 took off for Cumberland in hopes of getting a good night’s sleep before their 5:45 AM start. Once our teammates checked into their hotel, I’m sure many shenanigans ensued. 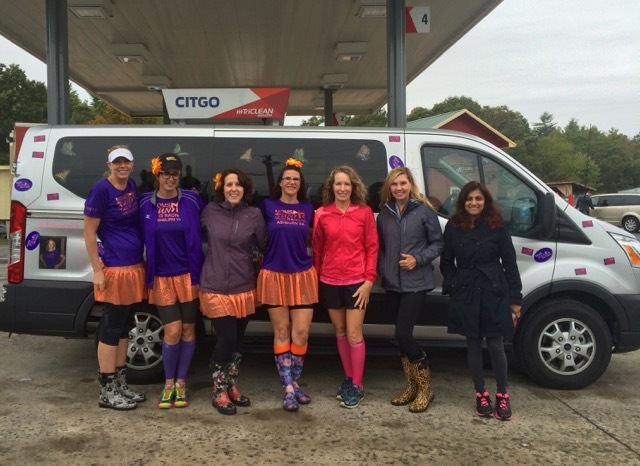 Van 1 was made up of some seriously fun ladies, and I’m bummed that we didn’t have more time to spend together. 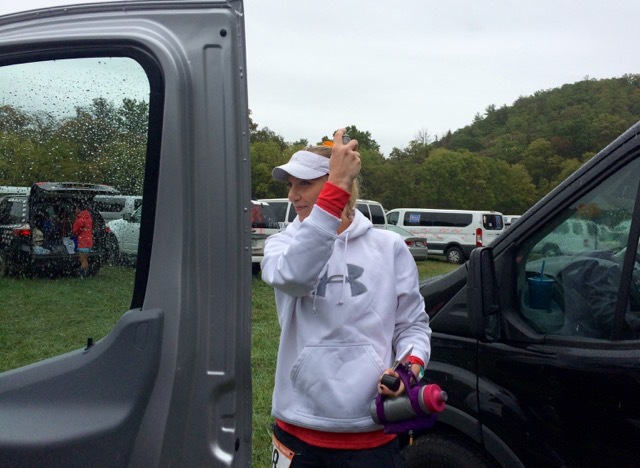 Bright and early on Friday, while Van 2 was just waking up, our Van 1 teammates arrived at the race start in Cumberland and prepared to run! 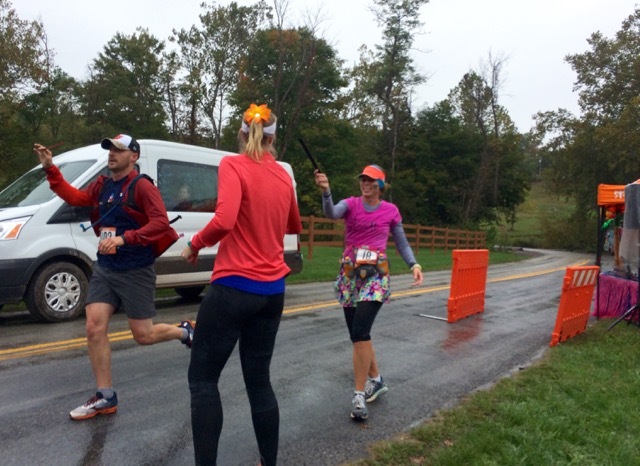 While the orange Ragnar slap bracelet was working its way from Runner 1 to Runner 6, both vans were working their way toward our first major exchange in Little Orleans, MD. Katie even earned a special medal for tackling and owning the 7.8-mile hill (above) on her first leg. Once arriving at Exchange 6 in Little Orleans, MD, first on our checklist was hitting up the mandatory safety video. Corny, but cute, it covered the various rules for us to adhere to for the following 36 hours. 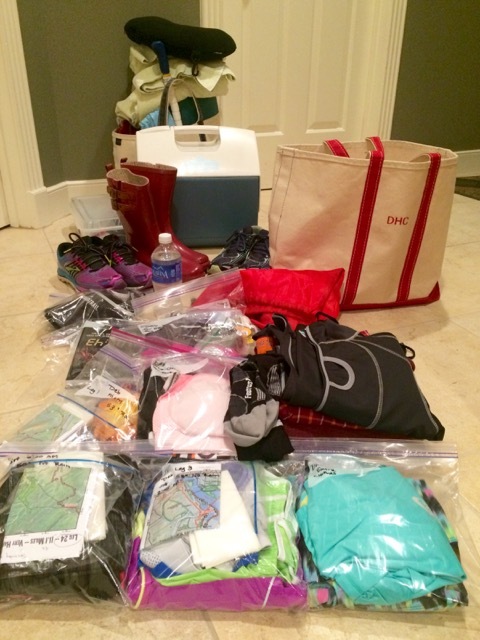 With all of our check-in items completed, it was time to get Kim ready for her first leg. A little hairspray to keep the fly-a-ways under control, and she was ready! But don’t let the hairspray fool you, this mama can run! Once we heard our team number 18 called over the loudspeaker, Kim made her way to the exchange chute to wait for Runner 6 Misty to come in for the exchange. A quick slap of the wrist band and Kim was off! Before we headed off to chase down Kim and get Amanda ready for her first run, we got a quick team picture. We said our goodbyes to Van 1, and we were off! 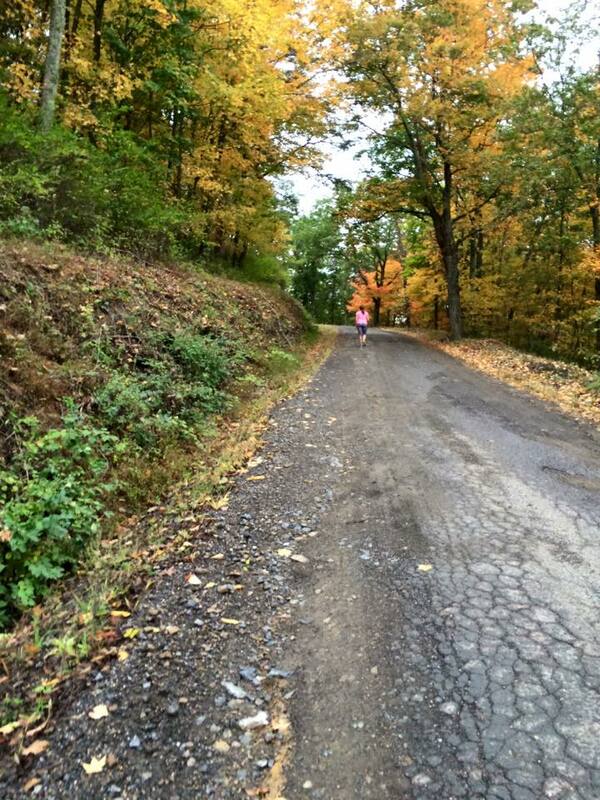 Stay tuned for more pictures, commentary, elevation charts, pace charts, and much, much more tomorrow! What time of day do you prefer to run? ~ Early morning for me! Hey! I totally saw your van at a few of the exchanges!! Bummer-had I known-i would have totally stalked looking for you-lol. That ‘capital punishment’ hill was no joke! Still on the Ragnar high-really considering another one. Early morning runner here also! Awww, bummer, wish you’d realized that was my van! 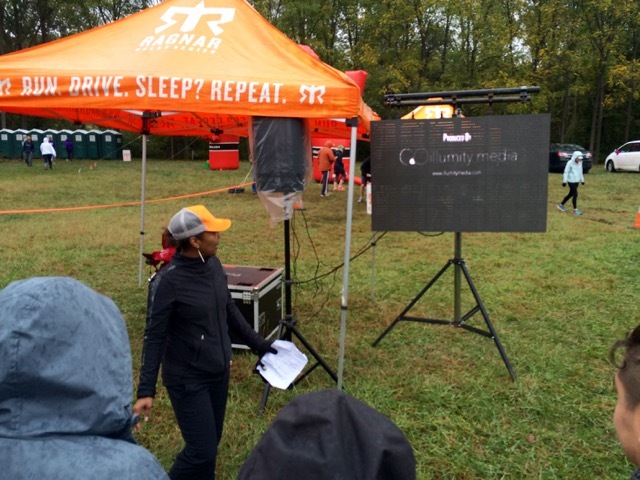 Let me know if you decide to run Ragnar Trail Richmond. It’s much easier to find people when we’re all camping in one central location and not taking off chasing our runners in vans! 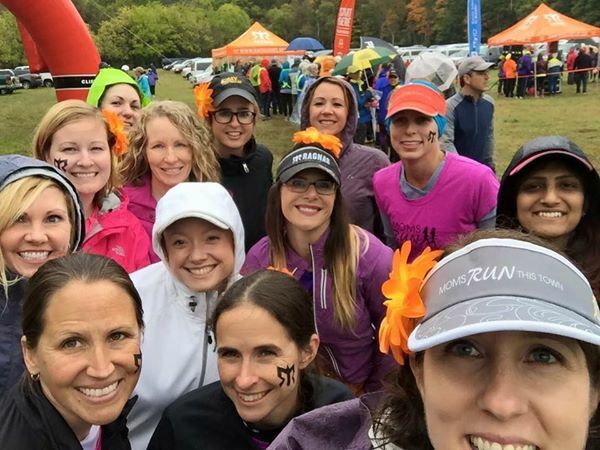 you know I love seeing all of the MRTT gear in those photos! I always feel like we are in completely different races with the 2 vans. It would be great if they could intersect more. Having the whole team together camping on one central location was one of the things I really liked about Ragnar Trail! Sounds like you had a great time on the first day! I was thinking of you all and watching the photo’s come up on IG! I was hoping that it wasn’t too rainy but glad you were still able to have a good time! We had a great time despite the rain (although it would have been nice not to have had so much of it)! So bummed you switched! I was runner 8! I was runner 8 last year and loved that leg! Still bummed that we missed seeing each other both times we were so close. Such an awesome recap so far. Looking forward to parts 2, 3, and 4. 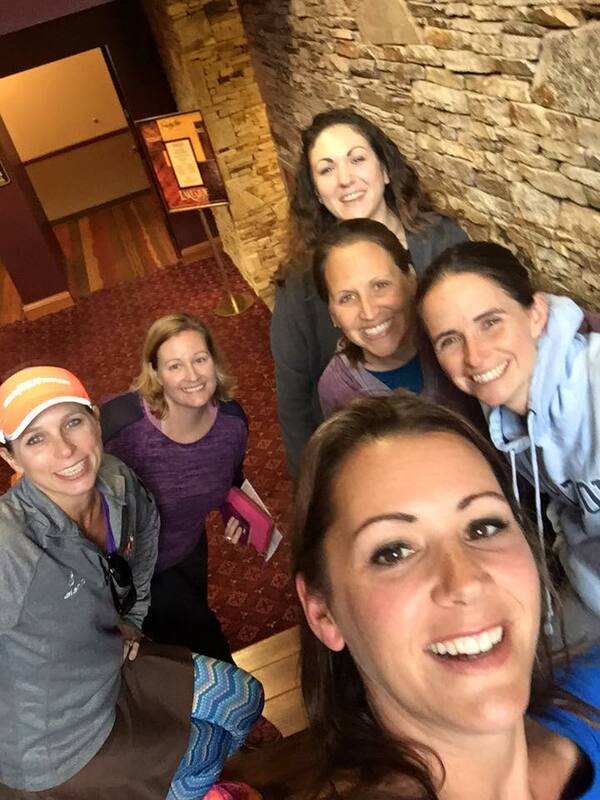 It was great to see and meet so many other MRTT’ers. Already looking forward to Ragnar Trail Richmond w/ our team(s). Thanks! Ragnar Richmond will be so different than Ragnar DC. We’ll be able to hang out with all of our teams between our runs since we’ll all camp in a big commune. Can’t wait! 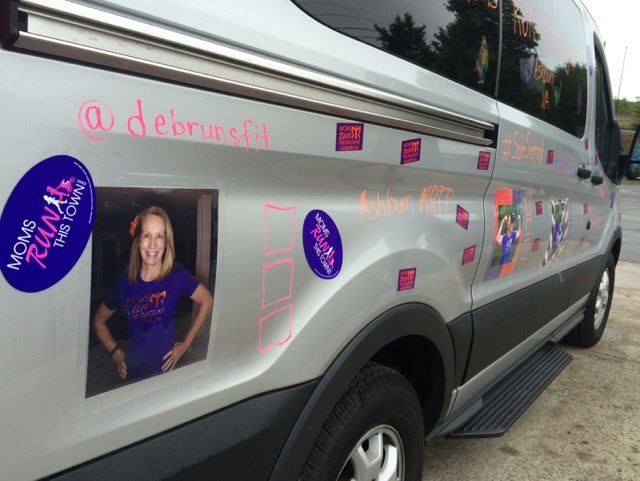 I love the van decorations with the photos! What a great idea. Reading this brings back memories from last year for me 🙂 I couldn’t help but smile all the way through. I know! Isn’t if fun reading recaps that you can follow along on? 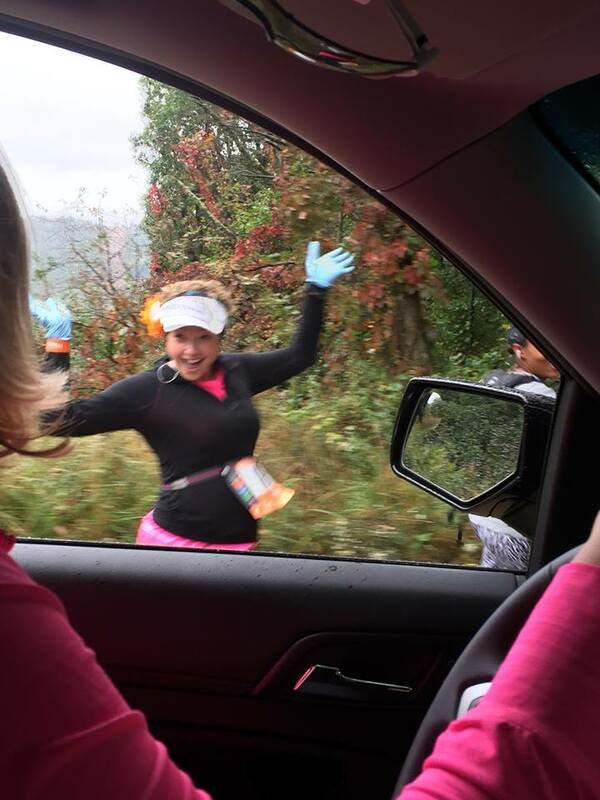 Like when I read your Hokie Half recap this year!